Florida’s next governor and not incumbent Gov. Rick Scott will get to pick three new justices to the state Supreme Court, the court ruled Monday in a decision with major implications in this year’s gubernatorial campaign. In a major rebuke to Scott, the Supreme Court concluded that the Republican governor exceeded his authority when he started the process to find replacements for the three justices. 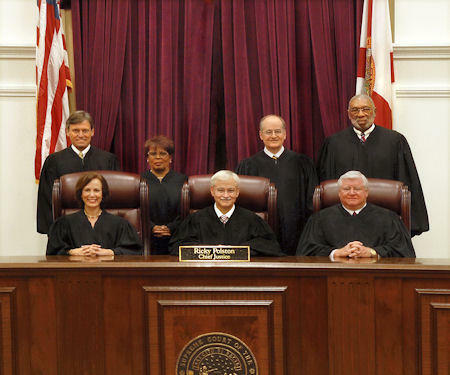 Age limits of 70 are forcing three of the seven justices — Barbara Pariente, R. Fred Lewis and Peggy Quince — to retire at midnight Jan. 8, the same day Scott is scheduled to leave the governor’s office. Scott, claiming he had authority to name the replacements, last month asked a nominating commission to start accepting applications with a Nov. 10 deadline. The court’s one-page ruling Monday says “the governor who is elected in the November 2018 general election has the sole authority to fill the vacancies” triggered by those mandatory retirements. Scott, barred from seeking re-election as governor because of term limits, is running against Democratic U.S. Sen. Bill Nelson. The ruling came in a lawsuit filed by the Florida branch of the League of Women Voters and Common Cause. The decision means that either Democrat Andrew Gillum, mayor of Tallahassee, or Republican Ron DeSantis, a former congressman, will be able to choose three new justices who could serve on the court for years and sway its balance of power. The two are vying for Florida’s governorship in the Nov. 6 election. There was no immediate comment from the governor’s office or the plaintiffs. But the Gillum and DeSantis campaigns issued statements signaling that the looming appointments will become a major issue in the race. “It is a duty I take extremely seriously and, as governor, one of my top priorities will be to restore integrity to the judicial nominating process,” Gillum said. Stephen Lawson, a spokesman for DeSantis, cast the ruling in more partisan terms, contending that if Gillum wins “out-of-state, radical groups” would pressure him to pick activist judges who would “legislate from the bench” in ideological terms. 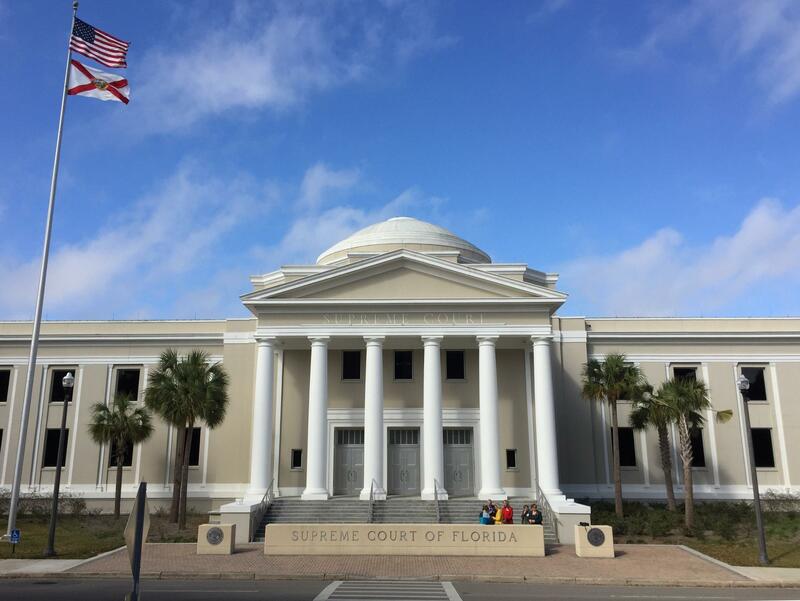 The three departing justices are often part of a majority that has ruled against Scott and the Republican-controlled Legislature in recent years. Scott has previously said he planned to name the three new justices the morning of his departure but also would work with his successor on a list of finalists and try to reach an agreement on the replacements. Outgoing Gov. Lawton Chiles and incoming Gov. Jeb Bush reached such an agreement in 1998. The Supreme Court will hear oral arguments Nov. 8 on the issue of when the Supreme Court Judicial Nominating Commission can certify its nominations to the high court.